In August 2006, I was able to conduct an online interview with then-rising Contemporary Christian singer Brandon Heath. 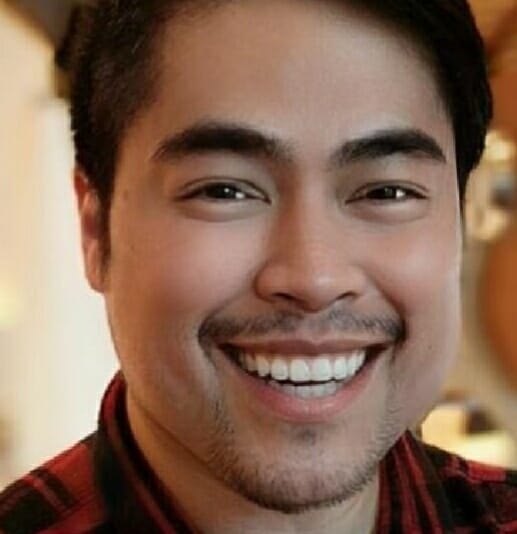 Brandon had just released his first single, Our God Reigns, which performed well on the Christian charts, and I sent him an email asking for an interview for LIVEtheLIFE Magazine, my now-defunct magazine for Filipino-Christian teens. He was one of the humblest persons with whom I’ve ever had the pleasure of corresponding, and, of course, we all know that his career has skyrocketed since then, starting with the #1 follow-up to Our God Reigns, the introspective I’m Not Who I Was, and reaching its apex a year ago, when Give Me Your Eyes became his second #1 hit and one of the most popular songs of the year. Give Me Your Eyes also ended up winning two Dove Awards in 2009. “Our God Reigns” is a spectacular single. It’s anthemic, triumphant… a classic in the making. How did you come up with that song? Brandon Heath: Well, I was about to board a plane from Seattle to Nashville. There was a television in the terminal with a recording of US President Bush talking about going back to war in the Middle East. There was a lot of unrest at that time in the world, and even in my own heart. I decided that at that point, I wouldn’t out my faith in my country, or my president, or the pilot of my plane alone, but in my God who is sovereign over all the earth and all the universe. I sand what is now the chorus of the song in my head all the way home and when I landed in Nashville, I wrote it down so that I wouldn’t forget. I sang it for my church in Nashville and we’ve been singing it ever since. Your musical roots dig in deep to a wide variety of influences. While your sound is unique in its own way, what kind of sound can we expect on your major label debut album, Don’t Get Comfortable? Brandon Heath: Well, what I brought to the table with this record was a style influenced by artists like Sting, Imogen Heap, Ryan Adams, Josh Rouse, and Coldplay. I put that together with my producer who has worked with artists like Nick Lache, The Backstreet Boys, and Mercy Me. He brought the Pop Sensibility, I brought the singer-songwriter feel and we blended it together. That’s what you’ll get on this record. Brandon Heath: I’m Not Who I Was. It’s a personal song. So personal that I almost didn’t even record it. It’s a song about forgiveness and I think it’s the one that I am most excited for people to hear. You’ve claimed song writing is a lifestyle. What’s your songwriting process like? Brandon Heath: It’s different all the time. I wake up in the morning, when I’m home, and usually have a writing session planned out with someone else. We usually get together around 10am and write until we’ve got something great. We don’t always finish the songs, but some times, it’s magic and the songs just writes itself. That’s always the best feeling. I don’t write much on my own anymore, but my producer says my best songs are the ones that I write myself. Obviously, your faith shines through in your music. How do you manage the tricky feat of making songs that are both radio-friendly yet deliver the message you want to tell your listeners? Brandon Heath: I’m a sucker for a good pop song. I love a good hook, and BIG chorus and a great beat. I am a writer first, so if the lyric isn’t there, then the song is no good. The message has to be clear. That’s a goal of mine. As long as all those things are in place, then it’s ready for the studio and possibly the radio. You’ve gone on missions to India and Ecuador. What were those trips like? Did it have any impact on the songs on the album? Brandon Heath: Very much so! Those trips were really what promoted me to write a song called “I Will Lay You Down.” The Lord says, “Come to me all you who are weary and I will give you rest.” There is a certain element of unrest in the unknown and I found that in places like India. Being among the poor and the needy had a huge impact on me. There was one night when I laid in my bed, my stomach in knots, from being nervous of my surroundings. I’ve heard it referred to as culture shock. It was at that point that I heard God telling me, “Brandon, I brought you this far. There is nothing I can do with you unless you trust me.” That was a pivotal moment for me. I was learning to trust and rest in the Lord in uncomfortable places. Even today, when I’m standing in from of huge audiences, I think of that moment and that message. You’ve jammed with Bebo Norman, wrote for Joy Williams, and Dan Muckala (Backstreet Boys, The Afters) produced your album. Big names! What’s it like to be on the verge of developing a legitimate name in the industry? Brandon Heath: It’s scary and exciting! I’m aware that God has a plan for me. I’m not necessarily aware of the details, but I know He’s got some big plans for me and that is what I am most excited about. Brandon Heath: I would LOVE to come to the Philippines! I found Christ through an organization called Young Life. It’s an outreach to teenagers to tell them about Christ. My leader, Phil Picardo, was integral in putting me in front of Jesus and telling me the truth about who He was and that He loved me. Just so happens that Phil, is a Filipino-American. He would be so embarrassed that I was talking about him right now. He’s a humble guy! Tell us about Young Life. Brandon Heath: Well, Young Life is actually a world-wide outreach organization. They are committed to reaching every kid, every where, for eternity. I am actually at a Young Life camp right now in Northern Arizona near the Grand Canyon. Kids come to camps like this one, and hear about Jesus. That’s all we preach here, Jesus. Leaders come with their kids here from all over the country and sometimes the world. Probably the greatest part of Young Life is the local clubs that meet once a week in cities across the globe. It works, I’m a living breathing testament to that. We’re so blessed to have had this time with you, Brandon. Any last words for your (future) fans in the Philippines? Brandon Heath: All I have to say is, “I can’t believe you listen to me in the Philippines.” Thanks so much! Bless you!